There are many advantages to giving to Valley Children’s Hospital through employee giving programs. It’s important to get involved to make a difference in your community, and when you decide to provide your valuable time and resources, you will experience the satisfaction of seeing your donation turn into programs and services that create an impact on people’s lives. Having an employee giving program will increase employee engagement and employee satisfaction all while supporting a great cause. 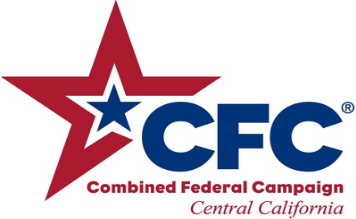 There are different methods of employee giving, one way is through United Way / Combined Federal Campaign, which has several participating federal organizations, such as UPS, FedEx, Costco, Macy’s, PG&E and many others. 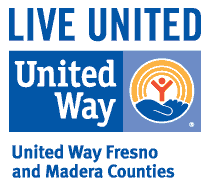 Each year, employees have the opportunity to pledge an amount to a non-profit organization through the United Way Campaign by means of payroll deduction. Another way to get involved is for an organization to choose to hold an independent employee campaign. Wawona Frozen Foods in Clovis shuts down operations each year for one day and holds a celebration for its 1,200 employees to honor their commitment to Valley Children’s Hospital. Through their month long employee giving program in 2015, they raised $26,086 for the Hospital which was also matched by the company. Others decide to run an employee giving campaign where their organization will give back company money basing the amount donated off of a percentage of employees’ annual salaries and they allow the employee to select which non-profit organization to donate to. An example of this type of employee giving is the Paramount Farming Company’s Wonderful Giving campaign. You have the option of being a part of something big and making a tax deductible donation to Valley Children’s Hospital, a non-profit 501(c)(3) organization. Your partnership helps us remain true to our mission to provide high-quality, comprehensive healthcare services to children, regardless of their ability to pay, and to continuously improve the health and wellbeing of children. Thank you for your dedication and commitment to making a difference in the lives of those who need it most. Your talents and gifts are changing someone’s world every day. If you would like to learn more about starting a workplace campaign in support of Valley Children’s Hospital, or need assistance running your campaign, please contact Patrick Haupt at phaupt@valleychildrens.org. We are extremely grateful for the commitment you have made to Valley Children’s. Your time and talent helps make this institution one of the best children’s hospitals in the nation. Are you interested in making an impact in another way? Consider making a financial gift to Valley Children’s by designating a portion of your paycheck to support a specific area of the hospital. To receive a list of all the funding opportunities available this year, along with a brief description of each, contact the Katie in the Foundation department at extension 37164. Donations to The Children’s Fund provide the most impact since these funds constitute unrestricted giving that allows us the flexibility to meet the greatest needs of the organization at that time – but every giving opportunity is worthy of your support. Once you find a compelling funding designation, please visit the George page and go to the Forms section. Select the “Employee Giving Form” to enroll in the Employee Giving Program via automatic payroll deductions. Once again we thank you for your support! If you have any questions or suggestions we’d love to hear from you: please contact Katie Galinski at kgalinski@valleychildrens.org or 559.353.7164.